As you may have seen earlier today we released our first ever Top Cash Back Credit Card rankings and taking first place in the inaugural rankings is the SimplyCash Preferred Card from American Express. Had we released the rankings early in March like we had originally planned this would not have been the case, first place would have actually gone to the mbna Rewards World Elite MasterCard. However we were advised by Amex that the SimplyCash Preferred was being enhanced, and that is word you have to be careful with in the loyalty industry since lots of times it is used to disguise a devaluation but that is not the case this time. The SimplyCash Preferred card is getting a true enhancement as American Express wanted it to be a market and that it has become. Gone is the 1.5% on the first $100,000 spending and 1.25% thereafter. In its place is an unlimited 2% back on all eligible purchases with no caps. Yes there are some slight negative changes but those are easily eclipsed by that 2% rate. What has become less on the card is the sign up bonus, the 5% introductory cash back rate on all purchases in the first 6 months is now capped at $300 instead of $400. Also the annual fee jumps from $79 per year to $99. To use those changes are tolerable since it can be easily made up with that additional 0.5% you earn on all spending. Good news as well for existing cardholders, you now get the 2% and you will be grandfathered at the $79 annual fee! Hopefully you took heed from our cryptic tweet from mid-March to get the card then so that you will be grandfathered at the $79! Even if you didn't grab the card before today it definitely should be on your radar now as it gives you a great introductory earn rate, a great everyday earn rate and it even includes a very good insurance and benefits package! • Optional Balance Transfer Offer to new Cardmembers – Enjoy a special 1.99% introductory interest rate on transferred balances in the first 6 months if you choose to transfer your other credit card balances to this American Express card at time of online application. There is no balance transfer fee at time of application. 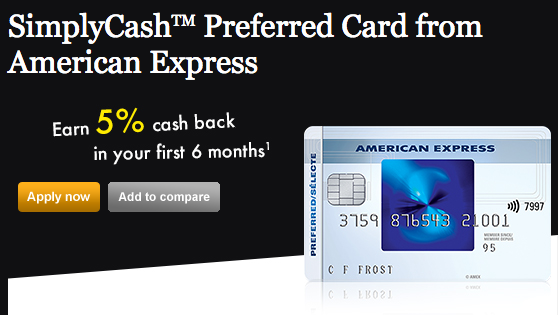 • American Express is not responsible for maintaining or monitoring the accuracy of information on this website. For full details and current product information click the Apply now link. Offer subject to change without notice.